The MATCO mfg WHLB4-DXTMH 4 INCH inch brake assembly is designed for use with MATCO mfg wheels. This model uses an Internal caliper design and is designed to be used with the WHLD4 disc. The WHLB4-DXTMH is supplied with BPD.75MH brake plate adapter. 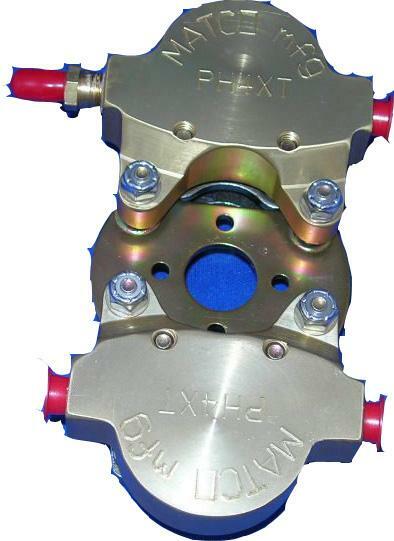 This brake model uses the new PH-4XT caliper and replaces models using the older PH-2. The new assembly provides nearly 50% higher torque and is a direct replacement for the WHLB4 brake models. In addition to higher torque, the PH-4XT caliper is machined from bar stock instead of a casting as used on the PH-2! This model uses two caliper in a single brake assembly. This is the highest torque model of the the B4XT series.